At Horizon Family Chiropractic, we see many families and love to care for children. In fact, Dr. Amy Schreiner is a board certified pediatric chiropractor! Have you thought about why we’re so excited about adjusting babies and children? As the saying goes, “As the twig is bent, so grows the tree.” Yes, just as for an adult it is an important part of a child’s health plan to have regular chiropractic adjustments. Chiropractors have been caring for children for over 100 years. The truth is that chiropractic has very little to do with back pain or neck pain. 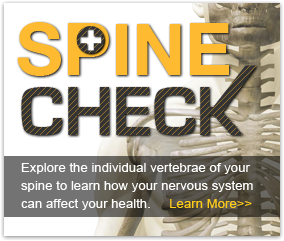 The only reason we deal with the spine is because it houses the vital nervous system. The nervous system is so important to our function as human beings; it is the only system of the body that is totally encased in bone. Clear communication between the brain, spinal cord, and the rest of the body is essential for us to express full health. How much more so for the growing nervous system of a child? Chiropractic babies and children have the best chance of developing a healthy nervous system in the first years of their lives without the interference of subluxations in their spines that shut down and distort nerve flow and brain impulses. That’s why chiropractic babies are so healthy! And just for the record, there’s never been a documented case of serious injury or death of a child under chiropractic care anywhere in the world in over 110 years! What other health profession can boast that sort of safety? If you know children that haven’t been checked for subluxation, they need to be. And we’d love to do it – because we love seeing kids grow up subluxation-free! Did you know that chiropractic is the most frequently utilized holistic health care choice for America’s children today? It’s especially important that newborns have their spines examined immediately after birth. That’s why we make your newborn’s first chirorpractic screening “complimentary”. We couldn’t think of a better gift to give you and your new baby.